Check our options and designs. 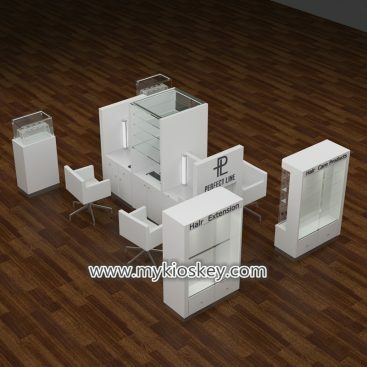 The best way to build your kiosk with affordable cost in ukiosks.com Check out our designs and prices included. UKS is Leading Manufacturer of Mall Kiosk ,Food Kiosk, Coffee Kiosk, and Store Fixtures in China. We started exporting kiosk All over the world Since 2002.We Customize Mall Used Kiosks ,Shop Display Fixtures,Food Kiosks and Retail Carts with Unique design and Super High Quality Materials. Most Importantly Affordable Price. Our Main Market is USA ,CANADA, UK and AUSTRALIA. As a Professional Supplier of carts and kiosks for coffee, retail, crepes, bakery and beverage, we also custom kiosks for eyebrow bar ,nail bar ,Jewelry retail etc. Our design concept and ideas to our fabrication and build process makes install easy and safe. We supply the display kiosks for Resort, Education, Health, Food, Beverage and Public markets. Why Choose UKIOSKS To build your kiosk and store ? we have been manufacture and exporting kiosk for more then 20 years, Our quality and famous name has proved us a leading position as a mall kiosk manufacturer in China. Here blow are some of our featured advantages ,Our service is much more then what we can describe here.Contact us now and we will bring you a magnificent work. UKS Provide free kiosk design service. we can design the mall kiosk , food cart, and store fixtures with customized ideas. Our kiosks and commercial furniture are manufactured with best materials and advanced equipment to ensure a best finish. We have over 9000 square meter factory and more then 200 skilled workers can provide you a fast and prompt production time. Are you worrying about shipping the kiosk ? We have reliable cooperate shipping company can provide you door to door shipping with low cost. We are direct factory to offer you best price. No middle man ! No trading company ! You got the factory price with discount. After sale is not our service ends but begin. All of our kiosks carts and stores fixtures we have two years quality guarantee . To Start a Mall kiosk in mall or opening a retail store business . The first step is submit a design to landlord in order to get a lease. However , where to get a cool design become a big headache. Because a professional design for a design company cost a lot .While UKS is just the right expert company you are looking for . We provide free design service which can supply high resolution 3D rendering and professional technical drawings. And we can modify the design until you and landlord satisfied with our work. Here blow are some latest design and project finished. You can browse and have a clear idea of what you needed .if you are just looking for mall business idea. our design will also give you great inspiration on it. Thanks for your amazing job , i like the brow bar kiosk you build for me , they look super outstanding in the mall, thanks again for all the workers who helped me on this kiosks. i will get another kiosk build very soon.and i will back to you. Your have a very nice designer , and he is the smartest guy I ever met, he provides great service for each kiosk and showcase and lights and everything, He is so patient that i have changed so many times, but finally i like the kiosk design ,it’s my dreamed image, and the finished quality is so good ,tons of thanks for you guys all. We manufacture with wood for indoor use and Stainless steel for outdoor use. We also design food carts and retail carts, Here Blow are unique design for food kiosks,beverage carts, juice bar ,jewelry kiosk , eyebrow threading booth,sweet corn kiosk,cell phone repair kiosk,Customized design and fabrication of kiosks and shop furniture is one of the most important element in our building process. 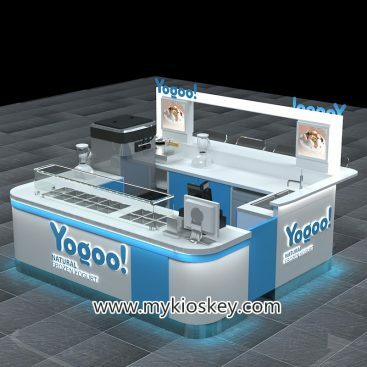 We will supply you a commercial retail kiosks food kiosk for your franchise,store or mall. 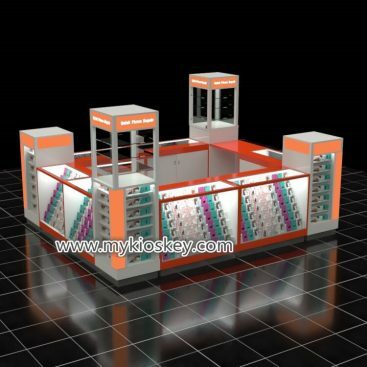 Mall kiosk from UKS are in high quality and affordable cost , We based in China where labor cost and material cost are lower while technology is advanced with mature industrial chain,all of our kiosk are standard approved for Europe and America. we have build kiosk for Mall like,Westfied,GGP which has strict standard. our mall kiosk is easy shipping with fantastic outlook which enable us a leading position of mall kiosk manufacture.When you trying to find a mall kiosk business ideas, when you want to get a kiosk build,When you want to design a mall kiosk ,UKS is always ready to help.